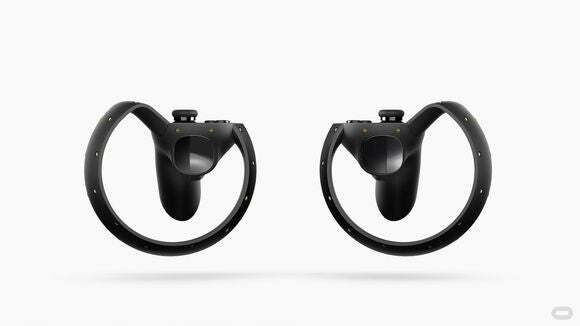 Oculus Touch could be a fantastic piece of hardware, as long as developers actually take advantage of it. 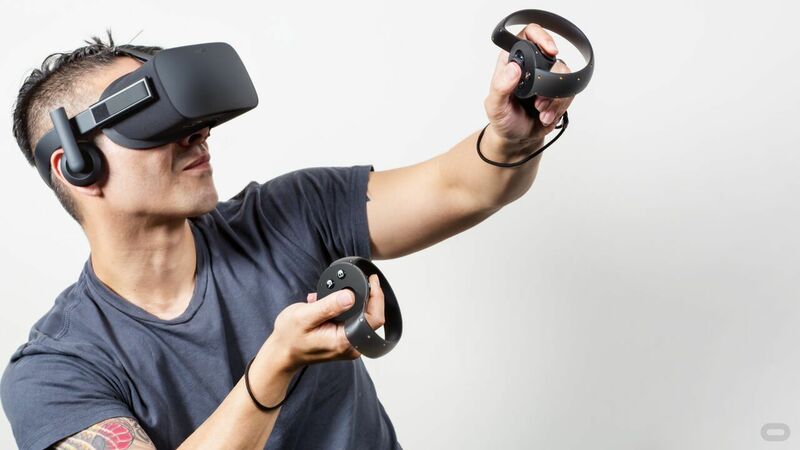 Oculus Touch should not be an optional add-on. That’s really the moral of this whole article. 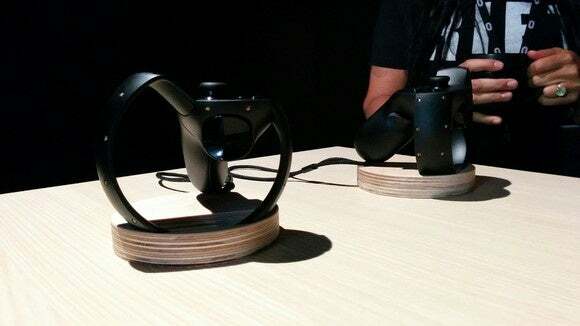 Ever since I went hands-on with Oculus’s motion-tracked controllers, I’ve been preoccupied by the fear that nobody will ever buy them or use them. Yes, “experience” in quotes. Virtual reality with a gamepad is a gimped experience at best, and I’ve come to believe shipping a VR headset and a standard Xbox One controller is a mistake. To be fair: I didn’t always feel this way. The need for a better VR-oriented control scheme has been apparent for a while now, but anyone lucky enough to own a DK1 or DK2 has likely used an Xbox controller as an easily-accessible stand-in. And it’s been okay. Then I went to GDC and used the HTC Vive, otherwise known as “Valve’s attempt at VR.” The Vive demo used two wands, tracked by a pair of stationary sensors dubbed Lighthouse. The result: Hands. My hands. In virtual reality. Sure, they weren’t really my hands. In reality I was stuck holding two rods, so my fingers “opened and closed” by pressing a button. But they were my hands. It’s intuitive—even for those who don’t normally play games. It’s comfortable. It’s one step closer to the “presence” VR enthusiasts are always chasing. That last bit is important. I often hear people describe virtual reality as “strapping a screen to your face.” And put that way, the whole endeavor does seem pretty damn goofy. 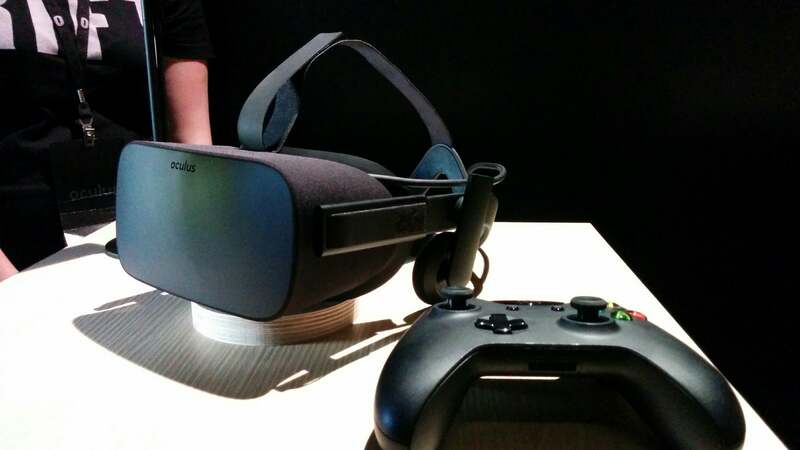 We reached new levels of absurdity when Microsoft came onstage at Oculus’s press conference last month to announce you could play Xbox One games in virtual reality…on a virtual TV. Sitting in a virtual living room. That’s not an experience that interests me a hell of a lot. Sure, I might use it—but it’s nothing new. It’s translating our current gaming experiences into virtual reality. The best virtual reality demos are those built for the platform from the ground up. And for that to come to full fruition, you need to give developers hardware built for virtual reality. Like the Vive’s wands, Touch allows you to use your hands in virtual reality—but Touch is a bit more sophisticated. Each controller has an analog stick, two of the four standard Xbox buttons (A and B on one hand, X and Y on the other), and then two triggers per hand. Touch then “tracks” the positions of your fingers by figuring out whether you’re in contact with certain areas. It’s split into three distinct zones: The analog sticks for your thumbs, the upper triggers for your index fingers, and then the bottom trigger for your other three fingers. This means you cannot ahem show off your admittedly glorious middle fingers to an opponent. I tried. To be honest, rarely did I use the finger-tracking for any real purpose. I mean, you can give a thumbs-up if you want, or point your index finger out and aim it like a fake gun. The real magic of Touch however is just in grabbing objects. With Vive’s wands, grabbing an object just meant pressing a button. With Touch, you feel like you are physically grabbing something—pressing three buttons for three times the haptics. It’s a small but sophisticated distinction. And like the Vive, it’s completely intuitive. Our demo was less game and more toy box, but I had a ton of fun. I was networked in with an Oculus employee so we could “see” each other and he could talk me through each activity. I was put into a “room” with a table in front of me, upon which was spread a number of objects—a laser gun, a ping-pong paddle, a remote-controlled tank, a slingshot. Want to interact with any of those objects? It’s pretty much exactly as you’d expect. Pick up the laser gun, aim, and shoot. Pick up the slingshot in one hand and use the other to draw back the cup and fire. Pick up the paddle in one hand, a ball in the other, and then see how long you can keep it bouncing. Okay, sometimes it looks super goofy. I did notice Touch lost my position more often than the Vive, and that’s no surprise. Touch has a single point of failure—the Oculus camera—whereas the Vive’s Lighthouse system has built-in redundancy. I’ll say this about Touch though: Never before have I laughed so much during a virtual reality demo. It’s a mesmerizing bit of tech, albeit a bit less surprising since I’ve already used the Vive’s wands. The HTC Vive’s wands are (at least in their GDC incarnation) not as sophisticated as Touch. But they work, and they’re—as far as we know—included by default with the Vive. Do I worry the Vive will cost too much? Do I worry the Vive doesn’t have the same name recognition as Oculus? Sure. These are valid fears. But by contrast I don’t worry that developers will just fail to take advantage of the Vive’s wands, because it’s an integral part of the platform. In other words, developers will want to work with Touch because Touch is cool. Touch is cool. Virtual reality is cool. And that’s a good thing, because developer enthusiasm has carried virtual reality through its earliest stages and to the point where it’s potentially a viable product, even though very few people are making money yet. But if Touch doesn’t sell, it becomes harder and harder for even hobbyist developers to justify the additional development time for an alternate control scheme nobody will use—especially when every single Rift owner will possess an Xbox controller. The PlayStation Eye. The Kinect. The Wii+ adapter. The Sega CD. Video game history is littered with optional peripherals that either underperformed or outright crashed and burned. Of course, none of the aforementioned peripherals have been quite as inspiring or interesting (or functional) as what Oculus has cooked up here—but Touch could still end up on the same path.